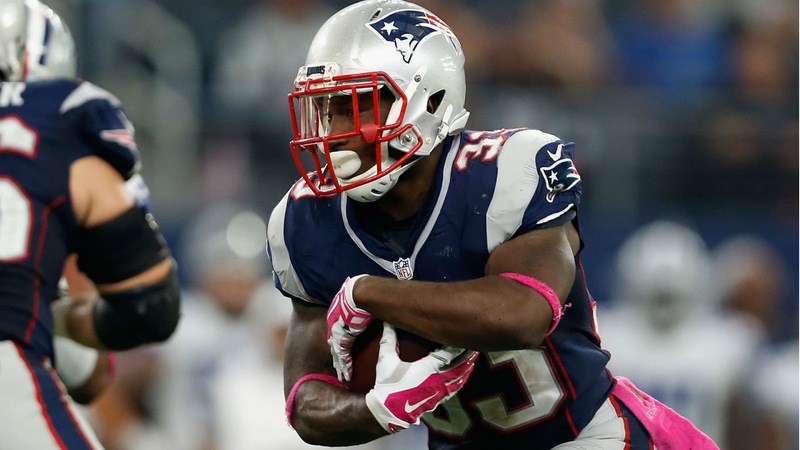 The speedy, shifty, pass-catching guru Dion Lewis could soon make a return to the already dominant New England Patriots offense. The fifth-year running back is reportedly expected to practice with the team this week as they prepare to battle the Buffalo Bills this weekend in Orchard Park. NFL insider Ian Rapoport tweeted Wednesday, per a source, that Lewis is expected to return to practice this week. Lewis has been sidelined with a knee injury all season. He started the season on the PUP list after suffering a torn ACL in November of last season, but Rapoport says he is "doing well." Lewis snagged 36 passes from Tom Brady last year for an average of 10.8 yards per play. He also rushed 49 times, averaging 4.8 yards per carry. His return would give the Patriots a three-headed monster at the running back position alongside LeGarrette Blount and James White. The Patriots released defensive lineman Anthony Johnson this week, according to the team's website, perhaps freeing up a roster spot for Lewis to be activated.